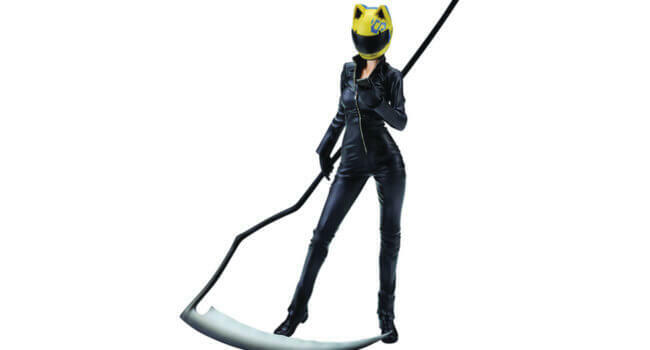 Also known as The Black Rider or The Headless Rider, Celty (Miyuki Sawashiro / Kari Wahlgren) is an Irish fairy in Japan seeking her missing head in Durarara!! While doing so, she works as an underground transporter and lives with her love interest, Shinra Kishitani (Jun Fukuyama / Yuri Lowenthal). She is almost always seen in her black catsuit and yellow motorcycle helmet, as she’s self-conscious about the fact that she lacks a head. In DuRaRaRa! 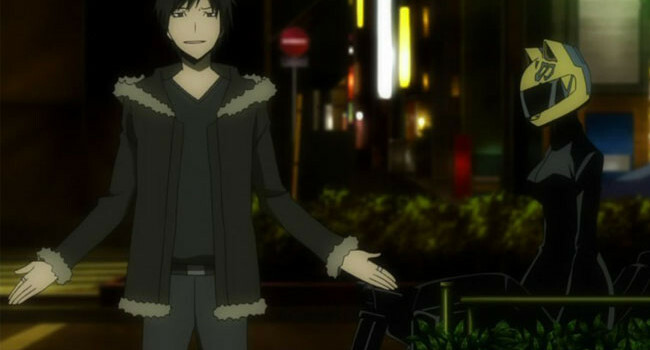 !, Izaya Orihara is a powerful information broker who deals information for his own enjoyment. He claims to love all of humanity with one exception — Shizuo Heiwajima.